Sentient Developments: The state of cryonics in Canada's B.C. The state of cryonics in Canada's B.C. Did you know that cryonics is outlawed in the Canadian province of British Columbia? Seriously. Back in 1991 the Socreds criminalized cryonics describing it as "speculative life support technology." The legislation stands to this very day, causing great concern for B.C. 's cryonauts who aren't getting the support and re-assurance they need. This past July, freelance writer Danielle Egan chronicled the situation in The Tyee. 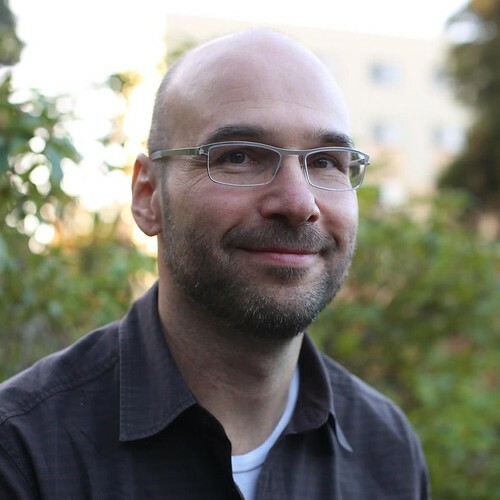 The article, titled "Fighting for the Right to Be Frozen," analyzes the state of cryonics in British Columbia and Canada in general. With his 68th birthday approaching, Charles Grodzicki slapped down $28,000 USD for a plot to call home after his death. Like many people his age, the West Vancouverite is working on his will and has briefed his loved ones so they know exactly what he wants done with his remains. But he's having trouble finding a local funeral director to sell him a pre-arranged package, thanks to a little-known B.C. law enacted in 1990. "I've talked to so many people," says Grodzicki over juice at The Bread Garden. "Two Vancouver funeral directors, the head of the Western School of Funeral Services and the B.C. Association of Funeral Directors. All of them tell me what I want is illegal." Grodzicki wants to be cryopreserved. The goal is to be "deanimated," then shipped to the Cryonics Institute (CI) just outside Detroit, Michigan, where he'll be preserved in liquid nitrogen and hopefully reanimated at a future date. "I'm very curious to know what life will be like in 100 years," says the fit, good-looking retiree who returned to Vancouver after decades working in finance at a Toronto-based global communications company. "At this point, I think the chances of reanimation are very slim. But even if there's less than a one per cent chance of success, it's better than the alternative, which to me is zero per cent." But before he can embark on the next step towards being cryopreserved, he has to navigate the bureaucratic red tape around cryonics, which became illegal just before the Socreds lost power to the NDP in 1991. The law makes B.C. the only province in Canada to criminalize this so-called "speculative life support technology." I'm not sure how a process that causes every cell in your body to explode from the inside as the freezing process rips apart cell membranes could be described as anything but "speculative". We've a ways to go yet before Cryonics is anything but a con perpetrated on wealthy egomaniacs. Cryonics doesn't "explode" your cells, even with straight freezing. 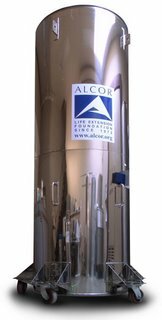 Read up on progress in vitrification at Alcor's Website. As for the "wealthy egomaniacs" cliche, most cryonicists pay for their arrangements with life insurance because they don't have US $150,000 in cash lying around. I've used life insurance to keep cryonics arrangements for the past 16 years even though I've made only about $20,000 a year (not including a big raise recently because of a new job). The "egomaniac" part depends on your value system. Do you think a life rightly lived should undergo involuntary but possibly preventable termination, or not? Do you want paramedics available in your community to help you if you experience a heart attack, for example, or do you passively accept that "your time has come"? Cryonics tries to expand the powers and scope of emergency medicine by offering a "time ambulance" to the superior healthcare of the future. Vitrification is a completely different matter from sucessful cryogenic suspension. Freezing is the easy part. No one would be more excited than me if human cryonics were a reality. Long term space travel would become feasible, for starters. Yes, there are tantalizing clues - certain frogs who's cells produce a natural "anti-freeze" allowing them to freeze solid and reanimate every spring without any damage. But we're decades away from perfecting such a process on humans, whatever pop-sci gurus might have us believe. WHEN we can achieve safe cyrogenic suspension of humans, I'm sure I'll read about in a reputable medical journal - not on KurzweilAI.net, and certainly not on the corporate site of a company with a vested interest in offering false hope to the sad, desperate and gullible. It never ceases to amaze me how people can parrot cliches that have no connection with reality. Cells exploding? Wealthy egomaniacs? Desperation and gullibility? Where do these ideas come from, and what are we to make of the gullibility of people who believe them? By what possible standard are college-educated doctors and scientists who sign up for cryonics using life insurance while still young and healthy, decades before they need the service, "sad, desperate, and gullible"? Some of these people are leading experts in nanotechnology and cryobiology.